Рекомендую всем поклонникам космической эмбиент музыки!!! Bring out the cake and lemonade. 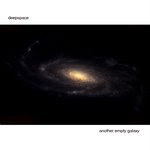 It’s been one year since the site was born, and along with it, the deepspace releases. It feels far, far longer to tell you the truth. Three albums, one EP, one double album about to be released, and a secret album length track. I’m feel pretty tired, but happy. Go on, see if you can find the secret album. It’s free and downloadable. There’s a pic of the cover to the left to guide you. It serves a dual purpose really: to say thanks to the last.fm crowd and to say thanks to the listeners who may have bought an album or shown their support in other ways. Cheers.